America’s Escape Game on International Drive opened this year to rave reviews touting the attraction as one of the best in the world….and now, they’ve unveiled their newest, best, scariest room to date, “The Caretaker” just in time for Halloween. Prepare to be petrified as you enter the scariest, most difficult escape room built to date. The addition of a custom made, one of a kind video game, specifically crafted for The Caretaker escape room is another example of the lengths the folks at America’s Escape Game are willing to go to in order to provide a world class attraction that can’t be duplicated or experience anywhere else. Escape rooms utilize puzzles and problems, map skills, mind teasers and now “The Caretaker” adds a video game you must win in order to escape the room. America’s Escape Game conveniently located at 8723 International Drive is in the heart of the tourist corridor located minutes from everywhere. 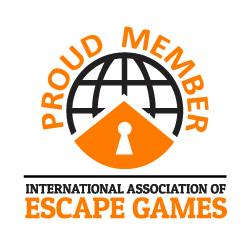 America’s Escape Game is the perfect activity for groups, families and teams and discounts are available for large groups and game buy outs. Each room is fun and challenging and thus far escape rates for the rooms are all below 15%.